A true crime podcast investigating Greenville, South Carolina’s 1975 underworld, the Dixie Mafia, the murder of Lt. Frank Looper, and what happened to Charles Wakefield after a jury condemned him to Death Row. Visit MurderETCpodcast.com to be the first to hear the real story. In 1975, Greenville County Deputy Frank Looper and his father were both murdered in the Looper's Greenville, South Carolina garage. Though a man, Charles Wakefield, was sent to prison for the crime, he has maintained his innocence for more than four decades. There are many people who believe Wakefield had nothing to do with the crime and that long-held secrets about the real killer or killers are still out there. If you have information about this crime, please send it through this contact page. 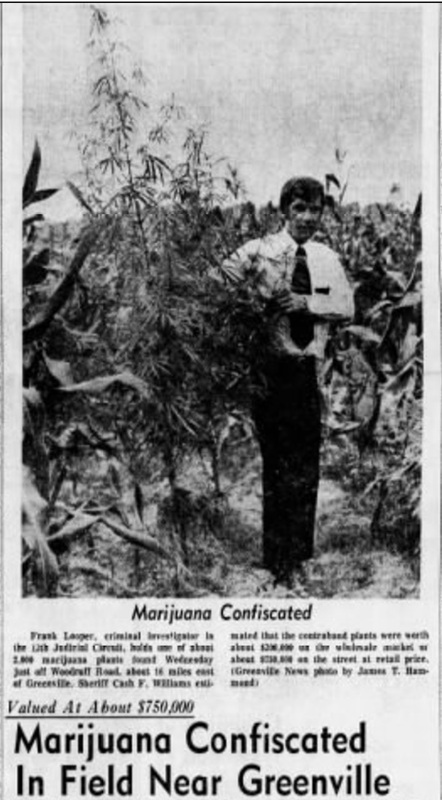 In 1975, Frank Looper was one of the most feared drug cops in Upstate South Carolina. A graduate of Greenville High School, Looper transformed himself from a clean-cut kid into a hard-nosed undercover detective known affectionately as the Fuzzy Beast. Looper was fearless in his pursuit of drug dealers and anyone who protected them. In an era of rampant corruption and organized crime in Greenville, Looper was as clean as they came. Many people believed Looper's work put a target on his back. Investigators would eventually conclude the execution-style shooting that killed Looper and his father was the result of a botched robbery. Not everyone believed them. For decades, rumors persisted that the cops had it all wrong and put away the wrong man. Today, there remains an ongoing investigation into what really happened. If you have information to share, you can send secure tips though this website.